Sunday School Leaders spend 35-45 minutes engaging students in a firm biblical foundation by training a small group of students in the Christian faith. Our teachers have a pre-determined curriculum they are teaching through. Our ultimate desire is to help equip parents to do the same with the children that God has entrusted to them to disciple and develop into disciple-makers. Sunday School meets from 9:15am to 10:15am. Sunday night is a time of going deeper in smaller groups. Typically every third Sunday night the youth lead our adults in a time of worship. Sunday evening services are from 6:00 to 7:00 pm. Wednesday night is Awana night for grades 6 and under. Visit our Awana page for more info on that ministry. 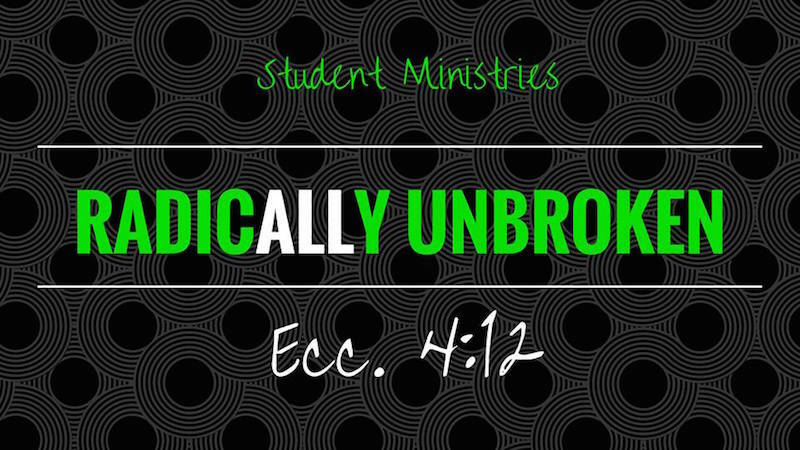 Students in grades 7-12 meet on Wednesday evening for fellowship, worship and teaching from God’s Word. Every week a speaker (usually our Student Pastor, Ken Parker) will teach student’s how God’s Word connects with different parts of life. Students are encouraged through biblical study of God’s word to Show the Word, Share the Word, Teach the Word and Serve the World together. Student services on Wednesday are from 6:00pm – 7:15pm.